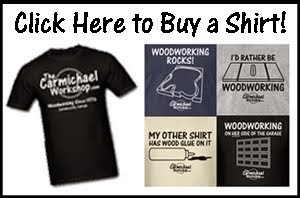 The Carmichael Workshop: Rainy Day Workshop Fun! Yesterday it was rainy and 64 degrees here in Atlanta, but by Wednesday, it will be 38 with a low of 16! I took advantage of the warm wet weather and tackled a few rainy day projects. My sanding drums came in a cheap plastic case like most little sets do, but I like having things out where I can easily access them. 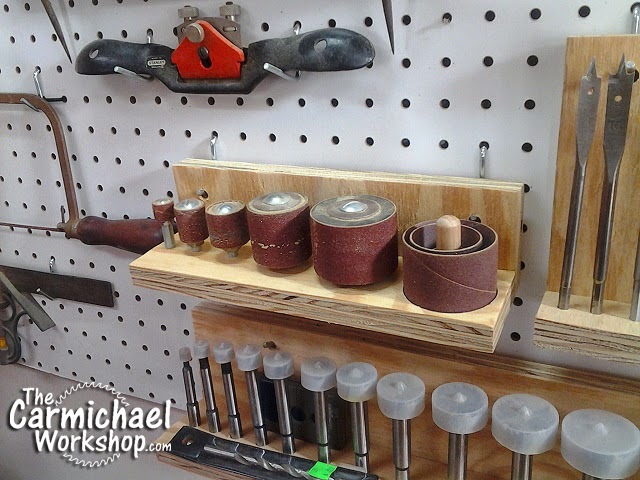 I made a scrap plywood holder for the peg board behind my drill press. Notice the post for the extra sleeves that I recycled from a broken drumstick. 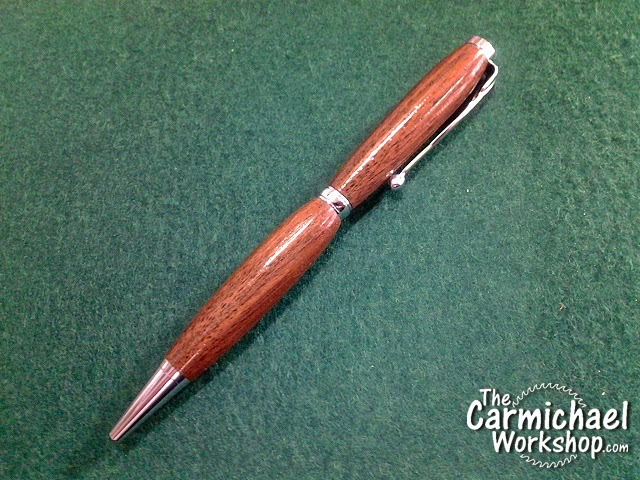 Next, I made a walnut pen for myself. After making Christmas gifts for others, it felt good to make something just for me. The brown and silver 1950's look is my favorite. After knocking out two successful projects in about an hour, I was on a roll. While cleaning up after making my Palletroni Pizza, I accidentally sucked up the red food coloring in my shop-vac. I was scared to look inside for fear of a bloody mess, but I fished it out intact. 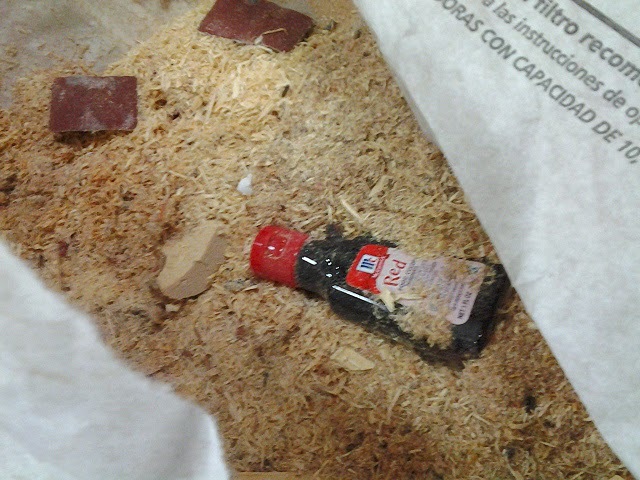 Sawdust got into the bottle somehow, so I will be replacing that before my wife finds out! Anyone who makes videos can relate to the frustration of out-of-focus video clips. Being your own cameraman is a challenge. 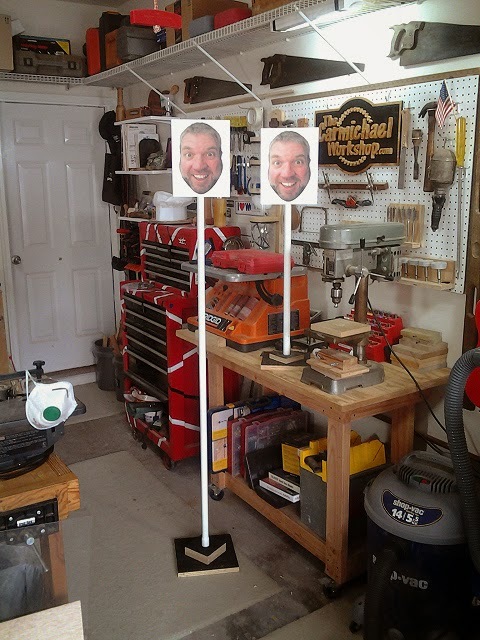 So, I made what I call "Big Dummy" and "Lil' Dummy" to give me something to focus my camera on when setting up shots. They work great and don't complain a bit! 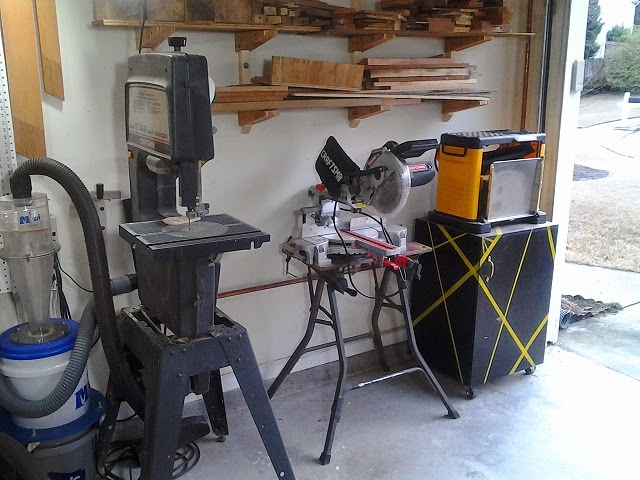 Next I tackled my Clutter Corner, which was my most disliked area of the shop. 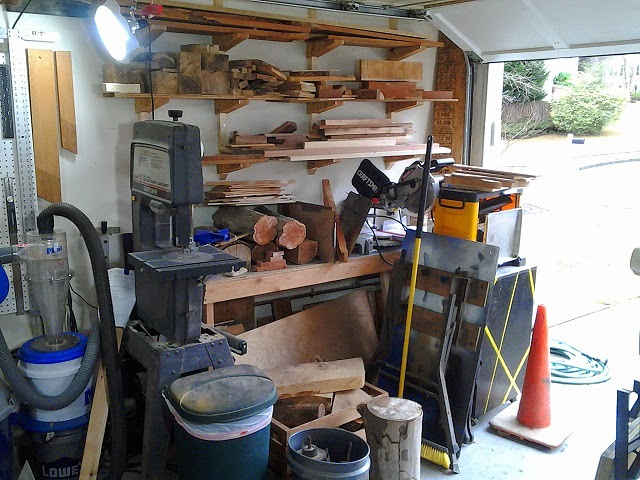 Here is a BEFORE shot showing my unorganized lumber and log storage, and inaccessible miter saw and planer. By the way, it's Patrick's Workshop's fault that I have a traffic cone...check out his Traffic Cone Cyclone Separator. I moved everything away from the wall and decided to take down the useless wall-mounted bench. I also patched that hole in the drywall, finally. Here is the AFTER shot and it is much easier to look at than before. I see a portable miter saw cart in my near future. 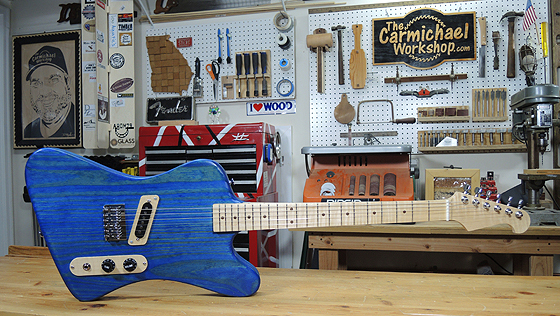 The lumber from the wall mounted bench will come in handy for that. Overall it was a fun rainy day in the shop. It feels good to accomplish all of that in one day. What projects do you need to tackle on a rainy day? I might actually drive the car out of the garage this year. Other than that i might tear out the useless doorway and nook that it encloses. I only need a little more room so everything can stay organized instead of just moving tools out of the way for each project. My 10 yr old car's paint has faded from the sun and it's chilly getting in a cold car in the morning, but having the shop space is worth it fo rme. I finally got around to making a "big dummy" for my video prep. Great idea. Awesome Mike! It really does help a lot with focusing and framing yourself in the shot. I was on the BrainPick show!